Has the beer changed or have I changed? Visiting Leicester the other week wasn’t just about the delightful couple of hours I spent in the Criterion. My reason for going was to perform at the Indiepop Alldayer just around the corner at Firebug. But I also heard that Burton Porter was on tap a few streets away, at a pub called the Ale Wagon. So my chum Marianthi and I snuck away from Firebug for a bit and went to find it. I first tasted Burton Porter 20 years ago. It was my freshman year at university; I was living in Walsall, for reasons too obscure to recount, and a pub called the White Lion on Sandwell Street used to serve it quite regularly. Rich, complex and velvety, it was like nothing I’d tasted before. Beer writers often talk about ‘finish’. I understand this to mean the way flavours from the beer continue to develop around your mouth and nose even after you’ve swallowed it. Burton Porter had a finish that went on longer than a Bruce Springsteen encore. It wasn’t just a taste that stayed in your mouth: it was a narrative of flavours, with new chapters opening and sub-plots unfolding before your very tastebuds. 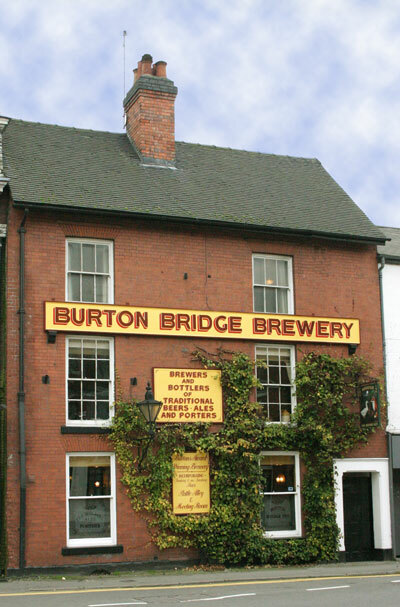 I moved out of Walsall in 1993 and didn’t come across Burton Porter again until 2004, when I found it at the Sheaf View. Again it tasted like a revelation. The next occasion was at the Sheaf View again, in 2010 (I’m not a ticker, honestly; I just have a good memory). This time… disappointment. A good beer but nothing extraordinary. And it was the same last month at the Ale Wagon. It was a decent pint but one that failed to improvise epic chronicles on my tongue. Now, your instinctive reaction here might be to conclude that they don’t make Burton Porter like they used to. That the Burton Bridge brewery has somehow varied the ingredients or the brewing process. But maybe that’s not it. Maybe it’s not the beer that’s changed: maybe it’s me. That first time I drank it, I was a young man, only just starting to discover decent beer. My experience of real ale was limited to worthy but fairly rudimentary beers like Old Peculier. The next time, I’d only just arrived in Sheffield after a long time living in the west midlands. Birmingham was still in the dark ages then (and is only just starting to emerge now). Cask pint was still such a rarity that I’d had to spend more than a decade of my life supping Guinness. In these circumstances, perhaps Burton Porter was just in the right place at the right time, and a pint of anything half-decent would have had the same effect. Since I moved to Sheffield I’ve grown accustomed to drinking world-class ales every week of my life. And perhaps I’ve become so used to this that a merely pleasant beer can never have that same impact again, and it will always now take a truly exceptional one to really excite my palette. Maybe that’s not a problem: after all, Sheffield is swimming in truly exceptional beer, and I’ve shown no sign of getting bored of it yet. There remains, however, an alternative and altogether disturbing future hypothesis. What if the process continues, and my taste becomes ever more fastidious? What if I get so spoiled for good beer that one day a sip of, say, Thornbridge’s Jaipur or Dark Star’s American Pale Ale provokes a blasé shrug rather than gasps of delight? Where do I go then? Very deep, Pete. A good read, thanks for posting it!